Natural makeup is the ultimate goal for many women in their everyday makeup looks. 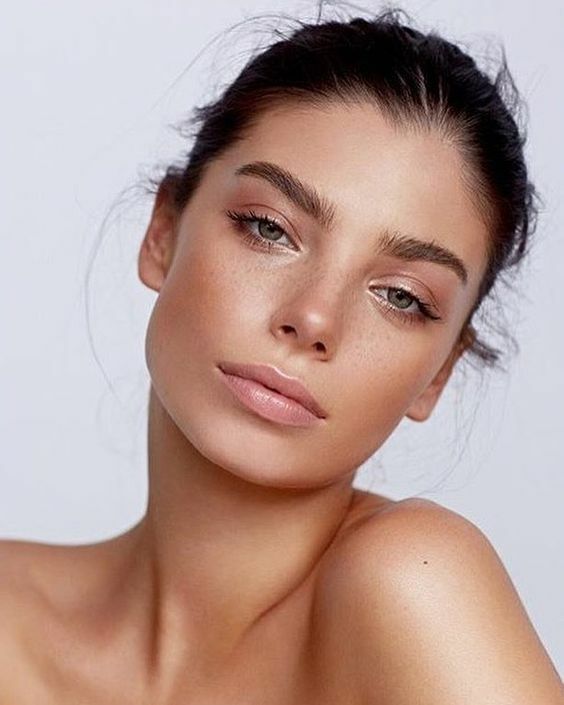 Natural makeup looks are meant to enhance your features with makeup without making it obvious to others that you’re wearing any makeup at all. These looks allow your facial features, not your makeup, to remain the focal point of your appearance. They let your natural beauty shine through whatever minimal makeup you are wearing. Unfortunately, it can be very difficult to create a natural makeup look that actually looks natural. It is definitely a challenge to apply makeup in a way that makes it look like you’re not wearing any makeup after you complete your look. 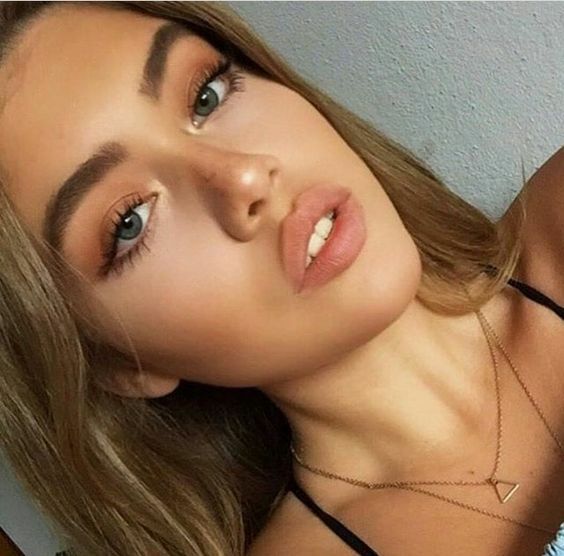 Many women try and fail to achieve the coveted natural makeup look that enhances your features while remaining invisible to the rest of the world. However, there are many effective tips and tricks you can use to improve your no-makeup-makeup techniques and create looks that appear genuinely natural to everyone around you. The purpose of a natural makeup look is to enhance your features without masking them. Therefore, it’s important to prepare your face well before you start applying any makeup. Keep your skin hydrated by moisturizing twice daily, once at night and once right before you apply your makeup. Gently exfoliate your face before you start your makeup routine. Light daily exfoliation sloughs dead skin off of your face, leaving your skin smoother and brighter. If you have very sensitive skin that is irritated by daily exfoliation, limit your exfoliation to three times per week. Moisturizing and exfoliating your face regularly allows your makeup to blend more smoothly and seamlessly into your skin without visibly caking around dry or dead skin to create a more natural finish. Overdoing your concealer can spell the demise of your natural makeup look. However, concealer can also be a very useful tool that can help you highlight your facial features without smothering them in makeup. In lieu of dramatic lipstick, blend concealer around the outline of your lips to make your pout stand out. Instead of applying a shimmery highlighter over your brow bones, swipe concealer across them instead to achieve a more natural finish. Do the same in the inner corners of your eyes and down the center of your nose for a more intense luminous effect. One of the easiest ways to show the world that you’re wearing makeup is to apply foundation, concealer, or any other skin products over dry skin. To achieve a smooth, healthy glow that looks totally natural, you have to create a look with a dewey finish. Forgo your powder products for cream or liquid versions whenever possible. Stay away from powder of any kind to prevent a caky or flaky finish. If you’re afraid your normal foundation will ruin your bare-faced look, use a tinted moisturizer instead. To add natural-looking warmth to your skin, blend a thin layer of cream blush into your cheeks. Many women feel like eyeshadow doesn’t belong in a natural makeup look. While you definitely shouldn’t coat your lids in metallic gold or frosty blue shadow, you can still use eye makeup when a natural finish is your goal. To create an imperceptible eyeshadow look, blend one neutral shade over your entire eyelid, stopping just below your brow bone. Choose the shade you use depending on which one will make your eyes stand out most. If you have blue eyes or brown eyes, apply a warm bronze or yellow-toned neutral. Red and plum-toned neutrals complement green eyes. Make sure to use very subtle shades and blend well so that no shadow outlines are visible at the end of your makeup routine. It is very, very difficult to make mascara look natural. It doesn’t take a well-trained eye to be able to recognize when someone is wearing a coat of thick black paint over their lashes. When you’re going for a bare-faced look, forgo mascara and curl your eyelashes instead. Heat your eyelash curler under a blowdryer for a few seconds before using it to create a curl that lasts all day long. If you have extremely light, thin, or short eyelashes and feel like mascara is an absolute necessity for you, be very careful when applying it. Swipe on only one light layer to add some pigment and volume and use a toothpick or a pair of tweezers to remove any visible clumps after the mascara dries. Photo: Henry Leutwyler We’ve seen it everywhere from runways to magazine covers —the no-makeup makeup look. The concept is simple: makeup that complements your features, without it looking like you are actually wearing any at all. Related: Get Perfectly Flushed Winter Cheeks The focus is on perfecting the skin, so start with concealing any blemishes. Use a yellow-based concealer to cover any red or purple color around the eyes. The most important guideline to follow when creating a natural makeup look is to tread lightly. Use a light hand no matter what product you’re using and be prepared to use as little as half the product you normally use on your skin for an everyday makeup look. Always apply your makeup in thin layers and use as little product as possible until you achieve a finish that enhances your features but still looks natural. If you coat your entire face in three layers of foundation and concealer, there’s no way your makeup is going to look natural no matter how expertly you blend it. When you’re aiming to create a natural makeup look, you have to accept that you can’t try to conceal every blemish on your face. The first step to perfecting a genuine bare-faced makeup look is accepting your imperfections and getting comfortable with leaving them visible at the end of your makeup routine. Natural makeup looks aren’t supposed to make your face perfectly smooth and clear; that would defeat the entire point of the natural look. Instead, focus on enhancing your features and don’t stress about completely covering every minor flaw in your skin. No-makeup makeup looks can be even more difficult to successfully pull off than more dramatic looks. However, they are definitely possible to create when you’re armed with the right tools and techniques. The next time you want to go bare-faced without really going bare-faced, try out the techniques suggested in this post to maximize your natural beauty without masking it.